KfW, a German government-owned development bank, launched a new corporate identity this week, created by MetaDesign in Düsseldorf. The previous dotted logo with its lowercase letters has been replaced by a simple uppercase wordmark with some stencil characteristics, apparently somewhat inspired by its predecessor. KfW says the new logo conveys "clarity, sovereignty and power". Corsairfly, a French airline belonging to the travel group TUI, announced last week that it would change its name to Corsair International. At the same time, it introduces a new corporate identity and a tagline that translates into "Open other horizons". Corsair was founded in 1981, and became a part of TUI in 2000. Later on, the planes were repainted with TUI's corporate identity, although Corsairfly never adopted the TUIfly name used by the corporation's other airlines. This rebrand means the airline will once again have an independent identity. The new identity was reportedly created by Dream On, an agency otherwise known for motion branding. The blue logo should remind us of the sky and the sails "give a special status and a noble representaion of travel". The airline will start repainting planes in July this year. 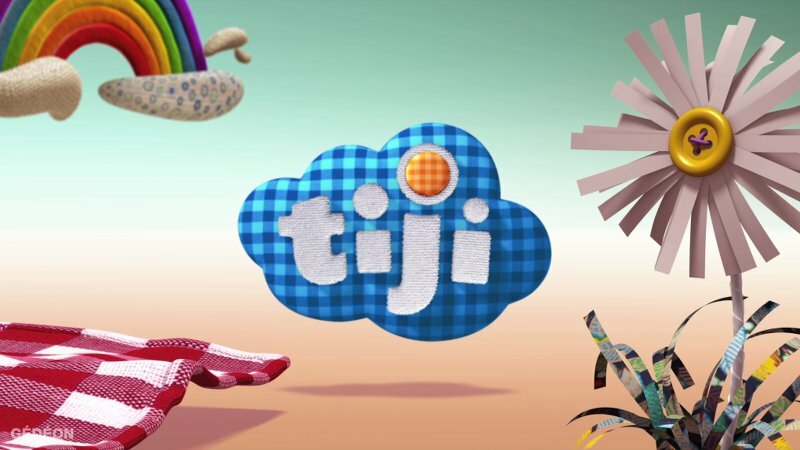 Tiji is a French TV channel for children under the age of seven. Last month, on February 10, it introduced a new on-air look as well as a new logo, its first logo change since the channel launched in the year 2000. The new identity was created by Gédéon, who also rebranded Tiji's primary competitor Piwi+ less than a year ago. The cloud-shaped logo has been updated and can take on different textures and forms, such as paper, clay, paint and cardboard. Bumpers and graphics are situated in a "suspended" world that leaves room for children's imagination. ID: Investigation Discovery, a U.S. cable network dedicated to crime documentaries, introduced a new visual identity yesterday, March 26, finally dropping Discovery's globe. ID launched in January 2008, replacing the unsuccessful contemporary history channel Discovery Times. Since then, the channel has had tremendous success; last year it was the fastest growing cable channel in the U.S. The new identity is partly an expression of that growth. The tilted logo is an integrated part of a larger graphics package. Russian Venture Capital (RVC) is a Russian development fund, established by the Russian government in 2006. Last Friday, March 23, RVC unveiled a new corporate identity to reflect recent changes within the company, developed with Strategic Consulting Group, a London consultancy with many Russian clients. The five triangles that point in different directions should communicate two ideas, "exporting Russian business ideas and the development of Russian business abroad" as well as international investments in Russia. The logo was apparently inspired by John Conway's Game of Life. The rebrand of Switzerland's state broadcaster SRG SSR continues. Last week, new logos were unveiled for its six German language radio channels, to be adopted by the end of 2012. The Swiss-German television and radio departments, Schweizer Fernsehen and SR DRS, merged last year to form Schweizer Radio und Fernsehen (SRF). Now it is time to replace the old division brands with the SRF mark. For the radio channels this means adopting a new SRF Radio prefix, for example DRS 1 will become Radio SRF 1. The TV channels are also getting new names. SR DRS' previous logos were introduced in late 2007. The breakup of the troubled Belgian-French financial group Dexia has produced another rebrand, after the Belgian operations were renamed Belfius at the beginning of this month. The Luxembourg subsidiary, Banque Internationale à Luxembourg (BIL), followed last Thursday, March 22, as it launched its new independent corporate identity. BIL traces its history back to 1856. When the Dexia group was formed in 1996, it became the majority shareholder. In the year 2000, the Luxembourg bank added "Dexia" to its name and started phasing out its original name. After the Dexia group's collapse, Dexia Banque Internationale à Luxembourg was spun off a the end of last year. The new identity was created by the Luxembourg agency Dechmann and is based on "renewal, trust and sustainability". Dechmann took elements from the BIL's past and resurrected the shield motif that BIL had used for decades prior to the Dexia rebrand. They also chose to use strong capital letters and to include the year 1856 to signal the bank's heritage. The purple colour is a mix of Dexia's dark blue and the magenta BIL used before 2000, and was also chosen as it wasn't used by many other banks. Britain's satellite broadcaster BSkyB announced the launch of a new Internet TV service last week, which will offer access to Sky's content on broadband devices. It will be called "Now TV", and although it will not have "Sky" in its name, it will carry a "powered by Sky" tagline to instill consumer trust. The logo above came with the announcement on March 21, and is using a modified version of Sky's corporate typeface. Norway's largest IT services company, EDB ErgoGroup, was renamed last weekend and will now be known as Evry. EDB ErgoGroup was created in 2010 from the merger of EDB and ErgoGroup, who were previously the two largest companies in the field. The new corporate identity was launched at an event on March 17. It was designed by Scandinavian Design Group, and the rollout is assisted by its corporate sisters in the McCann network. The "human" quality of the script wordmark is supposed to reflect Evry's business approach. Kandia is the primary brand of the major Romanian confectionary company Kandia Dulce, offering a range quality chocolate bars. Starting this month, Kandia is introduced a new package design, created by the Romanian brand agency BrandTailors. The new packaging highlights the product's cacao content as it aims for somewhat upscale consumers. Nissan Motors is planning a revival of Datsun, a classic car brand that was phased out and replaced by the Nissan brand during the 1980s. The new Datsun will be an affordable brand for emerging markets, and the plan is to launch in India, Indonesia and Russia in 2014. The logo for the new Datsun was unveiled with the announcement this week. It takes inspiration from the previous Datsun logo, but drops the red Japanese sun for a blue design. Rire & Chansons (French for "Laughter & Songs") is a nationwide radio network in France which broadcasts a mixture of comedy and music. This week it unveiled an updated and simplified logo. The 3D perspective and smiling tittle from the previous logo has been abandoned, but the red-yellow colour scheme and cartoon typeface is kept. Bank Nizwa is a new Islamic bank in Oman that intends to offer Sharia compliant banking services. Its corporate identity was unveiled this month, on March 11, and is credited to Wolff Olins. The logo depicts a traditional Omani gateway in yellow and purple. Even Hotels is a new hotel brand with a focus on wellness from InterContinental Hotels Group (IHG), due to launch in the U.S. next year. The logo above came with the announcement on February 28. There's not much information available about the logo, but the hotel concept is built on four "priority areas" (exercise, eat, work and rest), which might explain the four colored bars. Horse racing is a fairly significant sport in Sweden. Gambling on this sport is managed by a company called Aktiebolaget Trav & Galopp (ATG, roughly translated as "Trot & Gallop Incorporated") which has a legal monopoly on this activity. On March 9, ATG launched a new corporate identity, created by the Swedish agency Bold. Two custom typefaces were created with Pangea. The logo retains much of the legacy from the previous mark, including the horse head and colour scheme, but gives them a more contemporary interpretation. The horse head has been further stylized to convey a sense of speed. The team has also applied a barrage of Illustrator effects. The National Museum in Warsaw, one of the largest museums in Poland with a significant art collection, has held a contest to create a new visual identity. The result was announced last week, and the contest was won by Antonina Benedek and Rafał Benedek from a design studio called MesmerCenter. The final stage of the competition involved two other agencies, Mamastudio and Parastudio. Based on the museum's very ligature-friendly abbreviation, MNW, MesmerCenter created a dynamic geometric mark, that is apparently inspired by the museum's main building. Back in October, the Austrian broadcaster ORF launched a new TV channel called ORF III, which is dedicated to programmes on culture and information. The on-air identity was created by the broadcast design agency DMC, who posted a case study on their website some time ago. At the heart of the identity is the logo, consiting of three bars for the roman numeral III. These bars are extended into a presentation device used for trailers and schedules. The channel has three identifying colours. 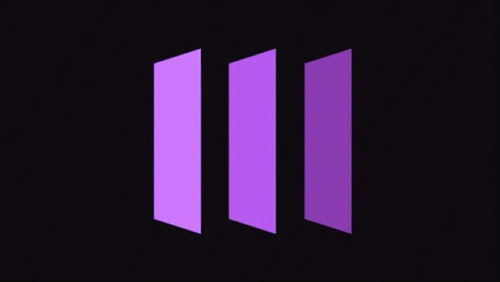 Grey is used for the logo, while purple and olive green represent the channel's two main topics, culture and information, respectively. Whitney and Mercury where adopted as the channel's typefaces. Schweppes Abbey Well is a British brand of mineral water, tapped from a source in Morpeth, Northumberland. Last month, an overhauled label design that celebrates the brand's British origin, reflecting the fact that Abbey Well is the official water of the London Olympics. The brand is owned by Coca-Cola, who bought Abbey Well in 2008 as they sought to get back into the bottled water market after the failed launch of Dasani in 2004, which turned disastrous when authorities discovered that the product contained bromate. The same year as Coca-Cola's purchase, the product added Schweppes to its name and revealed a completely new package design, created by Coley Porter Bell. The package design was updated a few years later. The new design was created by Kontrapunkt, one of Denmark's leading design agencies, and an interesting choice for a brand exercise aimed at promoting British heritage. The interpretation of Britishness is very literal with the Union Jack in the background and a red-white-blue colour scheme. The agency says it avioded more natural themes for something that is "urban, dynamic, powerful and contemporary". The Schweppes logo has been downscaled a turned single-colour, allowing Abbey Well to build its own identity. Although the Olympics are heavily sponsored, the actual events are advertising-free zones. For the Olympic arenas, Kontrapunkt also designed a label with the words "Still Water" in a similar typeface, pushing the IOC limits somewhat. The French mobile phone operator Virgin Mobile unveiled a new logo at the beginning of this week, which it will start using in April when it launches a new ADSL box. The new logo is credited to French branding agency Dragon Rouge. The French Virgin Mobile is a joint venture between the Virgin Group and Carphone Warehouse. The brand is also present on several other markets around the world. At the moment, it seems this logo change will only affect the French market. GSE Lining Technology is an American company that describes itself as the "the leading global manufacturer and provider of geosynthetic lining products and services", which means a key product is different kinds of industrial lining. This week, on March 13, the company was rebranded as GSE Environmental following its listing on the NYSE last month. GSE is headquartered in Houston, Texas, and the new identity was developed by BrandExtract, which is also based in Houston. Research produced six "key brand attributes" - sustainability, leadership, consistency, collaboration, flexibility and innovation - which the new identity was built on. The new corporate identity revealed by Finland's state broadcaster YLE back in December made its debut on-screen last week, with new looks across YLE's services on March 5. 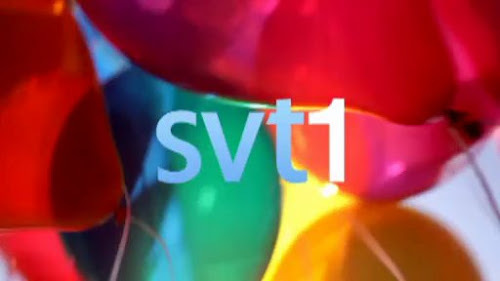 Incidentally, its Swedish counterpart SVT changed its look on the same day. 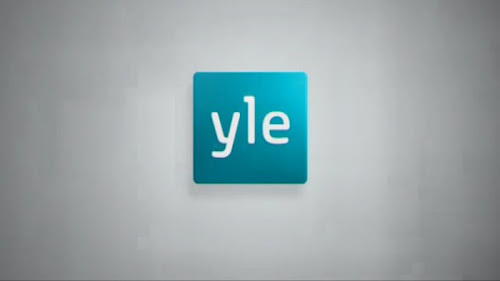 The change meant that the existing logos used by different services were replaced by YLE's new corporate logo, with the service name written next to it in a new corporate typeface. EVO is a new Spanish bank brand, unveiled on Monday, March 12, by NCG Banco, a Spanish banking group created last year. NCG Banco has its base in north-western Spain, were it is using the name Novagalicia Banco towards consumers, a name that was introduced in October last year. The new brand will be used for activities in the rest of Spain. The EVO brand is built on smart banking and providing easy service to its consumers, a concept called Banca Inteligente. Visually, the identity relies on black and white, with a simple and solid logo. The symbol is said to include both a B and an I, from the slogan. The identity was developed by Saffron Brand Consultants' Madrid office. Miller Genuine Draft 64 (MGD 64) is a light beer brand from US brewing corporation MillerCoors, named after the 64 calories that it contains. This week that beer relaunched under the snappier name Miller64, and with it comes a "bold new logo" and "eye-catching smoky silver and red labels". Seven Seas is a UK manufacturer of nutritional supplements, such as vitamins and minerals, probably best known for cod liver oil. Facing increasing competition from private label brands, last year, it got a new packaging design, created by Elmwood. Starting with the new positioning "the art of better health", the logo was revitalised through the addition of a "vibrand halo device". The type was updated by Rob Clarke. Elmwood also created refreshed packaging with the brand at the centre. Back in January, a new logo was unveiled for the UK entertainment TV channel Watch, as part of a new identity created by UK design agency DixonBaxi. The identity was rolled out in pieces during February, particularly in connection to the promotion of Grimm, but didn't launch in full until last Friday, March 9. Below is collection of stills that have been release so far by DixonBaxi, who are promising more to come. Some off-air recordings, showing the identity in action, can be found on The Ident Gallery. TSUM (ЦУМ an abbreviation of Центральный Универсальный Магазин, meaning roughtly "Central Department Store"), is a name used for the most prestigous department store in several former Soviet countries. The TSUM in Kiev, Ukraine, was built in the 1930s and recently closed for a renovation that will shake off its Soviet past. A part of this will be a new corporate identity, created by Landor Associates in Hamburg and revealed in late January/early February. February gave new visual identities to major brands such as the AP, Windows and Jaguar, as well as new logos for a bunch of other brands. A summary is presented below. The Malaysian flag carrier Malaysia Airlines unveiled a new livery yesterday, March 8, when they showcased a new Airbus A380-800. The red and blue lines of the previous livery have been replaced by lines in three blue colour tones. The airline has also introduced an updated logo. The previous identity was launched on October 15, 1987 and created by Johan Ariff of Johan Design Associates. At the same time, the company changed its name to Malaysia Airlines in a bid to strengthen the image of its home country, having previously been marketed as Malaysian Airline System or the initials MAS. The previous red colour was complemented with blue and the airline symbol, a wau bulan or Kelantan kite, was tilted to appear more aerodynamic. Although the upcoming third iPad (which is not called iPad 3) has been the focus of attention for the tech crowd this week, some attention has been given to the fact that Google have merged Android Market with its music store Google Music to form Google Play. It was launched on Tusday, March 6, and hopes to become a one-stop location for apps, music, movies and books. A red heart characterising Kiev as a city where there is love and goodness. It also resembles the wings of Michael the Archangel, who is depicted in the city's coat of arms. Is also included a slogan, which translates as "The city where it all starts". The logo was created by the marketing company fedoriv.com and a design bureau called Karandash. Unlike many other online logo contests, voters were treated with a large amount of images, explaining the logo and showing applications. You can still see them on the logo voting page at http://newlogo.kiev.ua/. The other entries, and a selection of images from the winner are presented below. A design process montage can be found here. 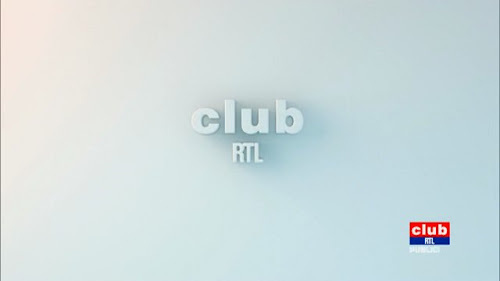 Club RTL is a Belgian commercial TV channel, launched in 1995 as the second channel from RTL-TVI, French Belgium's largest commercial broadcaster. In early March, it introduced a new on-air look, which it describes brighter and more modern. The most visible change is a series of new break bumpers that are comparatively simple logo form-ups. The channel logo remains unchanged. A montage of the new break bumpers can be seen below. AXN Beyond is a cable-television channel owned by Sony Pictures Television available is several Asian countries. Originally dedicated the mystery, horror and the paranormal, the channel has recently started more widely appealing American drama such as Pan Am, A Gifted Man and Necessary Roughness. To reflect this, the channel announced this week that it would change its name to beTV on April 2, using the logo seen above. 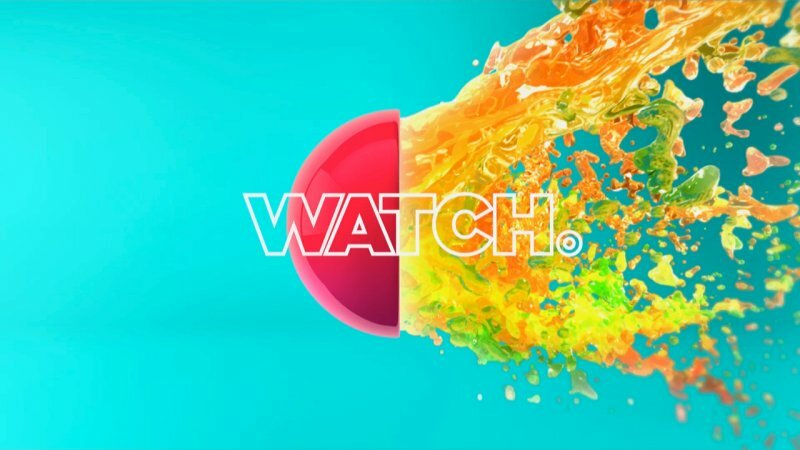 A press release said that "beTV will sport a logo and identity in vibrant orange complemented by a set of warm colours to offer an on-air look that is both casual and contemporary". Alpro is a maker of soy-based food and drinks that are available in several European countries, where it is often a leader in its field. In February, it expanded into other sorts of plant-based foods by launching Almond Milk and Hazelnut Drink. A result of this is that Alpro's logo had to be changed, as it featured a soy bean and the word "soya". The soy bean has been replaced by a rising sun behind a green leaf, and the slogan "Enjoy Plant Power" has been added. The Alpro wordmark has also gotten a new typeface. Studio is an Australian cable-satellite channel dedicated to the arts, owned by the Special Broadcasting Service (SBS). On March 1, it launched a new on-air identity based around the tagline "Everyday Inspires", created by Australian broadcast design agency Ink Project, who were also behind the rebrand of SBS' movie channel World Movies back in August. Ink Project also created four image spots that will be used as idents. They are based around time-lapse live action photography where the logo is formed in creative ways. Studio launched in April 2010, and the launch logo was created by Sydney design agency Frost Design and spelled out the name as STVDIO. That logo has been updated by giving up the perhaps not overly clever letterplay. 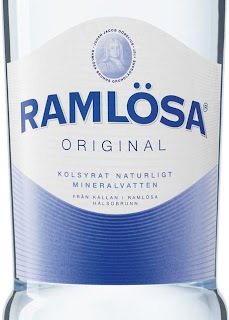 Ramlösa is a Swedish brand of mineral water, bottled in Ramlösa in the southern part of the country. The well was founded in 1707, and the water has been available in its current bottled form for about a century. Today, the brand and the bottling plant are owned by Carlsberg. 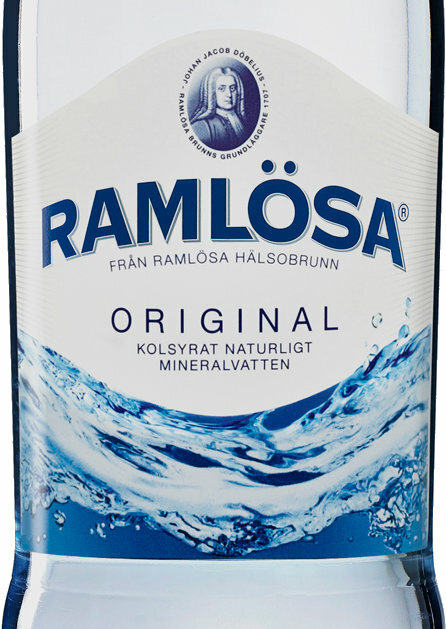 Ramlösa's retail packaging was last redesigned in 2007 by the British agency JDO, who helped reposition it to target "young unisex city inhabitants with a busy and active lifestyle". 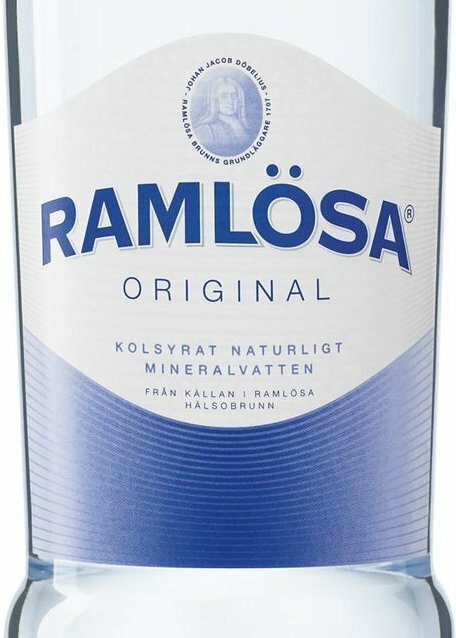 It was a relatively radical overhaul of a label that had only gone through incremental changes for a century, and faced harsh criticism from an ad man who had previously worked for Ramlösa, who said Ramlösa was imitating its competitors. 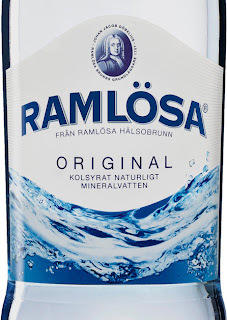 This time, Ramlösa has chosen a Swedish agency, and Nine seem to stress that this is a careful update. They also say the new label provides better contrast and a clearer hierarchy. The most noticable change is that the blue line pattern has been switched for a lively image of water. Poznań-Ławica Airport is an airport located in Poznań, Poland's fifth largest city, and one of its oldest. Yesterday, it unveiled a new logo. The logo was created at an agency called Diagram Branding Design and is inspired by the star in Poznań's city logo, but also resembles and airplane and the letter L. The blue colour also comes from Poznań's logo, as is contrasted with a vibrant amaranth. Dexia is a Belgian-French financial institution that got into trouble following the financial crisis. The Belgian banking operations were split off and taken over by the Belgian government. Recently, it announced that it would change its name from Dexia Bank Belgium to Belfius, and a new logo was unveiled on March 1. The name is a combination of Belgium (Bel-), finance (-fi-) and the English word "us", summarizing the comapny's mission, which is to be a bank with local roots that listens to and learns from its costumers. The name is also easy to pronounce is many European languages. The new logo features an equal sign, to signal that the bank considers its costumers to be its equals. The new corporate identity is credited to Hoet & Hoet and the bank's communication bureau Boondoggle. DMAX is a German free-to-air TV channel operated by Discovery Communications. Launched in 2006, it has established itself as channel with non-fiction programming for men. On February 29, it introduced a new on-air identity. 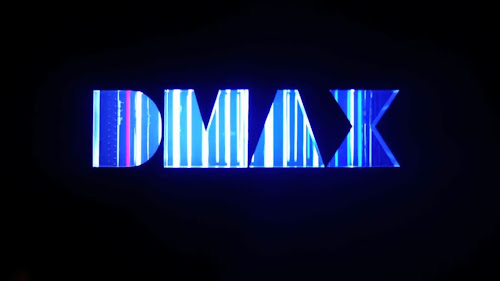 At the center of the package is a 3D rendering of the DMAX logo, through which images from programmes can be seen. New idents are based on a theme called "Creative Energy", with various creative renderings of the logo. The new graphics were created as a collaboration between Discovery Networks in Germany and the European headquarters in London. DMC in Munich helped with off-air applications. Kunskapskanalen ("The Knowledge Channel" in English) is a Swedish television channel dedicated to educational and factual programming, operated by the state television broadcaster SVT and the educational broadcaster UR. As part of a relaunch of SVT's channels next week, Kunskapskanalen will introduce a new look with a new logo. The previous logo had been used since the channel launched in September 2004. It was inspired the Swedish artist Oscar Reutersvärd who pioneered the art of impossible objects. 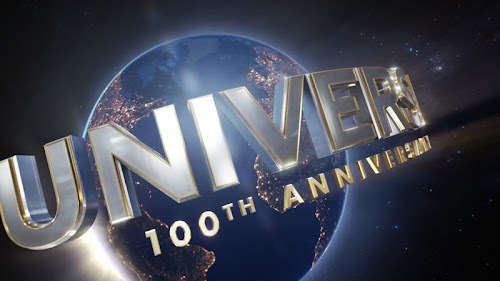 Back in January, Universal Pictures announced that they were going to introduce a new opening logo. At the same time they released a static image of the new intro, saying that the full animation would first in front of The Lorax. That movie premieres today, March 2, and the the new animation became available on the Internet yesterday. The new intro was created with Weta Digital, a visual effects studio based in New Zealand. Like previous anniversary intros, it starts with a rundown of previous studio logos. The new animation seems to start around Turkey, panning over the Mediterranean Sea before revealing the entire globe. Rather than appearing letter-by-letter as in previous intros, the new wordmark seems to be a more solid mesh, making it look a bit less impressive as it slowly moves into its position in front of the globe. The original score has been re-arranged by Brian Tyler, who has added a choir and more strings. The Swedish national television broadcaster Sveriges Television (SVT) announced yesterday that it is going to introduce new look across its main channels on March 5. This is part of a review of SVT's continuity links, and the aim is to provide better guidance to viewers while making the channel profiles clearer. The new identities were created by Trollbäck + Company, a New York agency founded by Swedish-born designer Jakob Trollbäck. In addition to its acclaimed work for American cable channels, Trollbäck + Company has previously rebranded the Swedish commercial channel TV3. Compared to SVT's previous graphics, the new look is simpler and more restrained, while also allowing a somewhat greater range of colours. VanHaren is a Dutch shoe store chain with a history dating back to 1929. Today it has 135 stores and is a subsidiary of the German Deichmann Group. About a year ago, Deichmann introduced a new visual identity which it started implementing in its stores across Europe. Last month, on February 15, vanHaren unveiled a new logo to match its parent company. Deichmann's logo consists of a green square and a D with a very subtle shoe in it. VanHaren has now adopted a similar square, but this one is orange and has a script H. The orange colour was chosen to provide a link to the previous logo (which was blue and orange) and to mark the chain's Dutch origins, as orange is the national colour of the Netherlands.